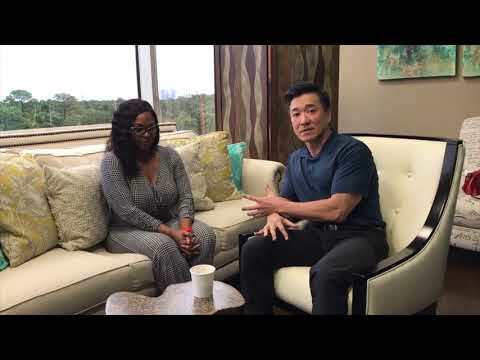 Dr. Anthony Nikko is a talented Board Certified Dermatologist and Cosmetic Surgeon serving patients from around the world out of Houston, TX at the Nikko Cosmetic Surgery Center. Dr. Nikko has performed over 7,500 surgical procedures with over 18 years of experience. With his pairing of unique knowledge and experience, Dr. Nikko is able to craft rejuvenating treatments that are customized to each patient’s desires. Born in Saigon, Vietnam, Dr. Nikko moved to America when he was 8 years old and almost immediately began his fascination with the anatomy of beauty. It was only natural for him to develop a passion for dermatology and subsequently cosmetic and plastic surgery. Today, he channels that passion into every moment of his practice. Dr. Nikko first obtained his undergraduate degree in biology from the University of Texas at Austin, in Austin, TX. From there, he went on to earn his Medical degree from the University of Texas Southwestern Medical School in Dallas, TX. Dr. Nikko then went on to further his education with both an internal medicine internship and specialty training in dermatology at Baylor College of Medicine. He also completed fellowship training in cosmetic surgery with specialization in aesthetic surgery of the face and body. Never truly done learning, Dr. Nikko continues to educate himself on the newest advances in the field by attending clinics and studies throughout the world. His ongoing education has taken him to hubs of higher learning such as Stanford, San Diego, New York, Utah, Japan, and beyond. The partnership of dermatology and cosmetic surgery training allows him a synergistic skillset to help his patient’s achieve their ideal aesthetic. Dr. Nikko’s training and expertise uniquely positions him as the preeminent choice for individuals looking to enhance their aesthetic, without sacrificing the beauty of their best features. Offering a host of plastic surgery procedures, such as breast augmentation, breast lifts, tummy tucks, liposuction, and fat transfers on-site at his certified surgical center, Dr. Nikko is fully equipped to safely and skillfully transform patients' aesthetic. In addition, he’s also equipped with a state-of-the-art MedSpa designed for the successful performance of nonsurgical services, such as BOTOX®, injectable fillers, microneedling, Vanquish™, Cellutone™, and nonsurgical vaginal rejuvenation. Ultimately, Dr. Nikko hopes to help every patient achieve their aesthetic dreams with his pairing of dynamic medical experience and modern techniques. As well as running his own practice, Dr. Nikko is also a proud member of the American Board of Dermatology, the American Academy of Cosmetic Surgery, and the American Society of Cosmetic Breast Surgery. These societies help to further advance the field of medicine and cosmetic surgery through research and collaboration, and Dr. Nikko is eager to partake and support however he can. In addition to these societies, Dr. Nikko is also an active member of the greater Houston community. So I was asked to write a summary of my experiences as a cosmetic surgeon by maybe highlighting some patients’ stories that will help shine light on my philosophy and vision for my brand. Well, if you were expecting to read the usual ‘why I’m such a special surgeon”, I’m happy to tell you that this story is different. My story is different, it’s not better or the best, but it is what made me authentic. Most importantly, I am NOT better or the best, and that’s where my story begins. As an immigrant from Vietnam who had barely escaped by boat in 1978, I knew I have been living by the Grace of God. I was 8 years old at that time so of course I knew nothing about Him. All I knew is that he had given me the best mother and stepfather after taking me safely to the best country in the world, The United States of America. Here is where I become a Dermatologist. God gave me a gift to not only use my mind, but my hands. After becoming proficient in skin cancer surgery and reconstruction, I became fascinated with cosmetic surgery and therefore, decided to do a fellowship in cosmetic surgery. After my fellowship , I was ready to perform cosmetic surgery, but I decided to spend 6 months traveling the world to see the best surgeons in various procedures. I opened my first practice in 2001 when I felt I could be the best. Now, remember that I previously that I said my story was going to be ‘different’, not ‘better’ or ‘best’. That’s where the second half of the story begins. When I opened my first practice in 2001 as a Dermatologist, I saw dermatology patients and performed removal and reconstructive surgery for skin cancers. I also performed cosmetic procedures such as breast surgery, liposuction, tummy tuck, and buttock augmentation as I continued traveling to learn from other incredible cosmetic surgeons. Ironically, it was my breast augmentation technique and results that catapulted my practice. Unfortunately, with notoriety came battles from competitors. My mentor told me to give up doing breast surgery because plastic surgeons will eat me alive. A dermatologist performing breast surgery is so advanced in medicine that most patients would understand it. Fortunately, my memory of my boat trip from Vietnam silenced the criticism in my head and empowered me to be one of the best in cosmetic surgery. This is thanks to all my mentors, and of course, all comes from my savior, Jesus Christ, my Lord. 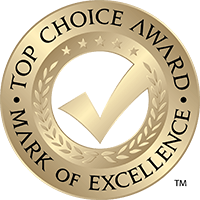 Dr. Nikko received the highest number of votes for the 2017 Top Choice Award and was awarded the Top Cosmetic Clinic of 2017 in Houston. Dr. Anthony Nikko is a Houston, TX Dermatologist and skilled Cosmetic Surgeon offering treatments for the breast, body, and face.